DESCRIPTION Great location and price in desirable Marda Loop with NO condo fees and a yard. Build your equity in this million dollar community. Cool vaulted ceilings and open plan on the main floor. Huge living room and dining room area. This home has 2 bedrooms up and 2 down with a 2nd kitchen in the basement. Separate entrance and 2 sets of laundry. HUGE windows in the basement! Nice hard wood floors upstairs and new laminate down. NEW 3 pc bathroom in the basement, Lots of storage through out. Bright SOUTH facing balcony runs the length of the home. Home for sale at 1812 37 AV Sw Calgary, Alberts T2H 2H4. 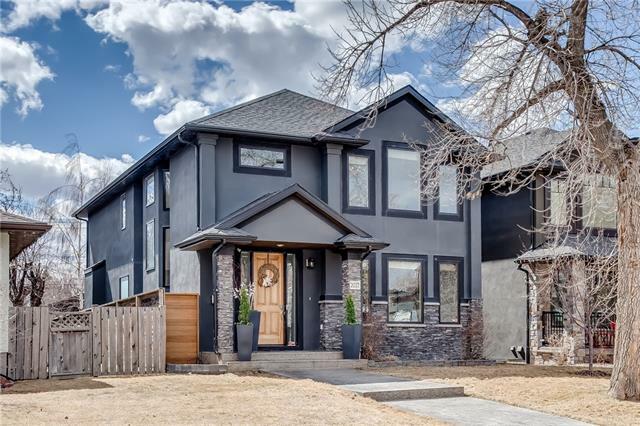 Description: The home at 1812 37 AV Sw Calgary, Alberta T2H 2H4 with the MLS® Number C4222155 is currently listed at $425,000.